Justin A. 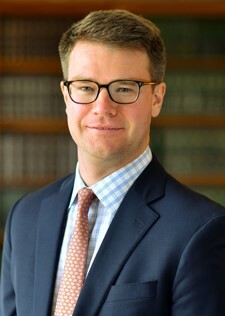 Brown joined the firm in July 2016 and is a principal of the firm. He practices in both federal and state trial and appellate courts, and before administrative agencies and boards. At the firm, Justin represents businesses and individuals in complex civil litigation, white collar and felony criminal defense, and internal investigations. In 2018 Justin was recognized by Super Lawyers magazine as one of New England’s Rising Stars in business litigation.